10 methods God still uses so we can see He is still God our healer! Divine healing can be a messy and controversial subject in the church and the life of the believer. 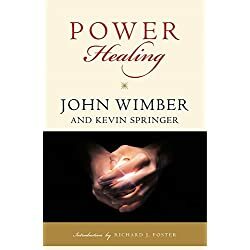 It is because of the controversy surrounding the subject and the disappointment that some people experience when they seek God for healing, that many do not delve into the issue of how to receive God’s healing power. I believe that we are to be followers of Jesus. Part of following Jesus is doing the things that He did. Part of following Jesus is caring about the things that He cared about. 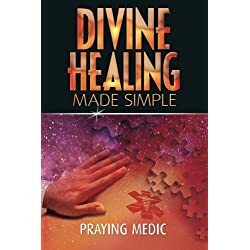 It is clear from the scriptures that divine healing is one of those things. Divine healing was not man’s idea. It was God’s idea. Take a look at these three scriptures and tell me that God does not care about physical healing. 5 But he was pierced for our rebellion,crushed for our sins.He was beaten so we could be whole.He was whipped so we could be healed. He personally carried our sinsin his body on the crossso that we can be dead to sinand live for what is right.By his woundsyou are healed. So if God cares so much about physical healing, then we should also care about it. 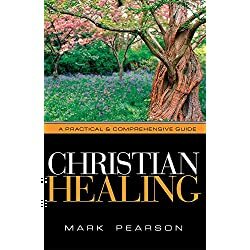 We should be teaching people the different ways that God uses to bring healing to us. We cannot be the body of Christ if we do not carry the healing of Christ to people. We are, after all, His healing hands extended to this world with His healing power. Why are some people not healed? Whose faith is necessary for healing: the sick person’s, the minister’s, both? I confess I don’t know all the answers. But I have searched the Scriptures so that I can understand how God’s healing power can be revealed. One of the nine gifts of the Spirit talked about in 1 Corinthians 12 is gifts of healings. This is a gift of grace that is given to the church. It comes as the Spirit wills. Many times healing comes because of God’s favor and unfailing love towards us. It is not earned or worked for. It just is an outpouring of His grace. It is not just given to a few select individuals but is given as the Spirit wills so that anyone can be given this gift at any time. This is one of the frustrations I have with many Christians. They do not come to church when they are sick. They do not ask to be prayed for. The Bible says that you do not have because you do not ask. How ridiculous is it to say “I can’t come to that healing meeting, I am sick?” When the church comes together in a corporate worship service, Jesus is there. What better time to ask Jesus to heal you? So the next time you go to church, ask for healing. In Marks gospel chapter 16 Jesus said these words. One of the most common ways that people receive divine healing is when somebody lays hands on them and prays for them. The power of God that resides in us because the Holy Spirit lives in us flows out of the hands that are being laid on the sick person, and they get well. One of the reasons that I teach about divine healing and lay hands on sick people is because of this verse. It is part of the great commision. In this, we have a choice. We can ignore divine healing and not pray for people to be healed or we can extend ourselves like Jesus did and ask for divine healing. If we don’t, then we will not see any miraculous healings. If we do, then at least we will see some miraculous healings. I prefer to see some, rather than none. Secondly, when people receive healing, they are a much greater witness to their friends and family concerning the goodness of God and His reality on this earth. This method is one of the ways that I rarely see used today. It is not that people do not anoint with oil. They sometimes do in their churches. What I don’t see is people calling for the Elders to come and do so. I don’t know how many times I had had people get angry because I am not a mind reader and did not come to pray for them at home when they didn’t bother to call. It is essential for you to call for the Elders of your church. By doing so, you are acknowledging both your own need for somebody else, and you recognize their authority to pray for healing. Stubborn pridefulness will keep you from receiving your healing. So ask for your elders to come and pray for you. It is biblical. Are any of you sick? You should call for the elders of the church to come and pray over you, anointing you with oil in the name of the Lord. 1 One day Jesus called together his twelve disciples and gave them power and authority to cast out all demons and to heal all diseases. Jesus has given us the authority to cast out demons and heal all diseases. The way we take authority over sickness is the way that a government uses its authority. They demand compliance with their decree. I know it may sound weird, but start speaking to the sickness that is bothering you and command it to leave in Jesus name. There has been more than one occasion that when I start to feel sickness come upon me, that I have taken authority over that sickness and told it to pack its bags because it was not welcome in my dwelling. 9 If you make the Lord your refuge,if you make the Most High your shelter,10 no evil will conquer you;no plague will come near your home. Another way that you can receive divine healing is to get together with another Christian and ask them to pray the prayer of agreement with you. Here is a mighty promise of Jesus. He said that if you find somebody else to agree with you about anything, which includes divine healing, then it will be done for you. There is also the promise of Jesus showing up when you gather together to do this. So right there, you have Jesus the great physician, who healed everyone who asked Him to be healed, in your presence. You can ask Him for healing right there. Another way you can receive healing is when God gives you faith to be healed. I know that might sound a little strange, but I want you to understand that it is God that provides us with the faith to be healed. It is not something that somehow we can work up. In Marks gospel chapter 11 Jesus talks about mountain moving faith. 22 Then Jesus said to the disciples, “Have faith in God. 23 I tell you the truth, you can say to this mountain, ‘May you be lifted up and thrown into the sea,’ and it will happen. But you must really believe it will happen and have no doubt in your heart. 24 I tell you, you can pray for anything, and if you believe that you’ve received it, it will be yours. Notice that the first thing Jesus says is to have faith in God. This is where many people go astray when they are trying to believe for healing. They are trying to have faith in their faith, or they are trying to have faith in their healing. Your faith has to be focused not on those things but God alone. Jesus is the author and finisher of our faith. (Hebrews 12:1) He is the one that gives you the faith to be healed. It does not come from yourself, so have faith in Him. Many people are healed in the name of Jesus. When we are healed in the name of Jesus, we are being healed because of the power that is in His name. The Bible teaches that the name of Jesus is above every other name. Everything comes under the authority of the name of Jesus. When the name of Jesus is spoken, it is like Jesus Himself speaking. Here is one that is very important in my opinion. When we are sick, many times we get very self-focused. One of the things that we need to remember is that we are called to be focused on the needs of others and not ourselves. In the book of Job, we find a great example that healing came to Job when He started to focus on the needs of others. When Job prayed for his friends, the Lord restored his fortunes. In fact, the Lord gave him twice as much as before! Now, remember that Job had boils and sores all over his body. God restored his health when he prayed for others. There are many times when people are healed who have no faith of their own. Remember the guys who tore a hole in somebody’s roof to lower down their paralyzed friend to Jesus? The paralyzed man did not have the faith. It was his friends who had the faith. If you do not have faith to be healed, find a friend who does. You might be surprised what their faith might do. Finally, I would be remiss not to include God using men who have studied medicine and are practicing medicine with their God-given mind and abilities. Luke was a doctor and wrote almost 1/2 of the New Testament. God is not opposed to medicine. He created it just like He created everything else. God has placed within our body, abilities, and defenses that the use of medicine can accentuate and help in the healing of disease. These are no less part of divine healing as the supernatural ways God heals. So do not think that it is a lack of faith in divine healing to avail yourself of medicine as well. I pray as you have read and meditated on God’s healing power that you too have experienced more fully God our healer. Pastor Duke Taber is an alumnus of L.I.F.E. Bible College and Multnomah Biblical Seminary. He has been in pastoral ministry since 1988. He and his wife Sue are currently leading The Vineyard Church in San Carlos Ca.Pastor Duke specializes in healing hurting churches and bringing revival, renewal, and restoration of the presence of God to the body of Christ in America to make the church spiritual again.Pastor Duke has a few limited dates available to speak in other churches. If your church needs a fresh move of the Spirit of God or has gone through a painful and wounding season, click here. The ministry of Pastor Duke And Sue Taber through Viral Believer is supported in 3 ways. Many people support this ministry through freewill offerings. If you have been blessed by this ministry and would like to donate any amount, you can do so here. ViralBeliever.com is a participant in the Amazon Services LLC Associates Program, an affiliate advertising program designed to provide a means for sites to earn advertising fees by advertising and linking to Amazon.com. Pastor Duke and Sue Taber have a limited amount of dates available for guest speaking in churches in the United States only. Because they are full-time pastors already and because they have a passion to bring healing and revival to American churches which desperately need it, they feel they need to focus on the American church. If you would like to learn more about booking Pastor Duke and Sue at your church, click here. Viral Believer is the online ministry of Pastor Duke and Sue Taber. It is our vision to see hurting churches brought to wholeness and God's people empowered with all that the Holy Spirit has for them.